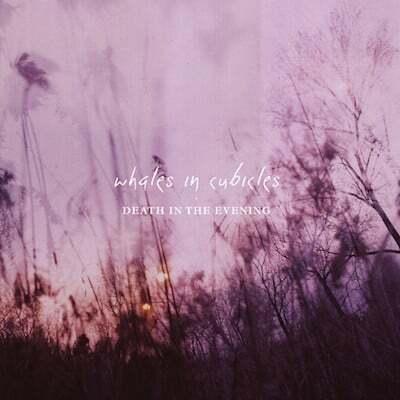 Whales In Cubicles formed in 2010 and after two years of fine tuning the band released their debut single ‘We Never Win’ to raving reviews. 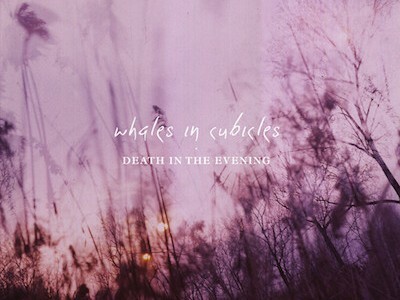 Now it’s 2014, and the boys are about to release their first album ‘Death In The Evening’. ‘Yesterday’s News’ opens with a great guitar riff and drum beat before continuing into the verse where you’re taken on a journey via the lyrics and the vocals portraying them. The song has a steady progression as it goes on and builds up to an amazing guitar solo. ‘We Never Win’ fires off next, and continues to show quality song-writing. Starting with the snare drum, faint guitar and vocals that are present during each of the verses. During the build up to the chorus the snare drum tempo rises and as you’re on the edge of your seat the band explodes into a well-constructed sound. meanwhile, the opening to ‘Golden Medal’ tells us the band are willing to push their sound and experiment as it stands out from the other songs. The instruments begin disjointed but then mesh together to make a solid backing track for the vocals. This track includes flawless guitar solos and shows just how talented this band actually is. A slow piano sound opens ‘Across America’ but then fades as it is taken over by the guitar and drums. The lyrics in this track are really poetic and have us hooked from the first verse. A lot of times when listening to music you can feel that the vocals are out matched by the drums and guitar but in this band all are on an equal par, making it all the more pleasing to listen to. The introduction to ‘Disappear’ takes a different approach with the first couple of bars containing a solo acoustic guitar. When the electric instruments come in we are thrown off guard as we expect acoustic track. It takes us a moment to focus back on the song and we heard the lyric which gave the album its title. A lot of vocal tricks were performed during this song showing the stability of vocals but it isn’t out of place; instead it adds a new dynamic to it. Skipping the mediocre ‘Nowhere Flag’, we love the drum beat in ‘Wax & Feathers’ and that catches our attention more than the lyrics, vocals and guitar put together but this was probably intentional judging on how the track is arranged. This was the song on the album that gave us chills and goose bumps. We think it’s a boundless ballad, and it could be one of their popular tracks. The energy within final offerings, ‘I Knew It’ and ‘Find A Way’ help us wind down from this amazing album and leaves us wanting more. It’s a little Weezer, and a bit Oceansize, and we like that. Put simply, this is the next great alt-rock record. For sure. Buy tickets to see the band on tour HERE!